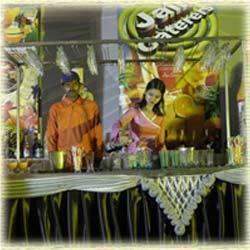 We are the leading provider of Juices And Mocktails drinks which are served during the occasion of marriage ceremony or social gathering. Keeping the taste and the hygiene of the drinks intact, we offer these juices in utmost healthy condition. These drinks are prepared in unique manner which satisfy the taste and preferences of our clients.